The Wheel Offset of your wheels and tyres is the distance between the center line of the tyre and the top of the hub mounting surface of a wheel. 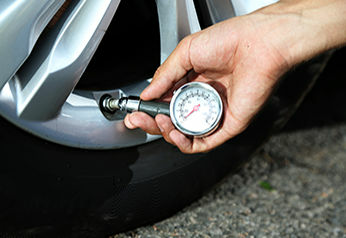 The center of the tyre is the dead center of the width of the tyre, so if the tyre’s width is 250mm’s, then either side of the line of center is 125mm’s. The hub mounting surface is the part of the wheel that is physically bolted to the axle and is generally mounted to the brake rotor or hub. The positive offset in the illustration shows that the greater the distance between the centre line and the top of the hub mount the deeper the tyre sits on the axel. In relation to the body of the car, this means that the wheels with higher positive offsets sit deeper under the wheel arch. Positive wheel offsets are called insets and cause the wheels to sit closer together. Negative wheel offsets are called outsets and are when the top surface of the hub mount sits interior to the line of centre of the tyre. Outsets, or negative wheel offsets cause wheels to sit further apart on the axle and can make wheels protrude from the wheel arch of the car body. Closely related to offset is the concept of backspacing. Offset and backspacing are however not the same thing. Backspacing is the distance between the mounting plate and the inner flange of the wheel. 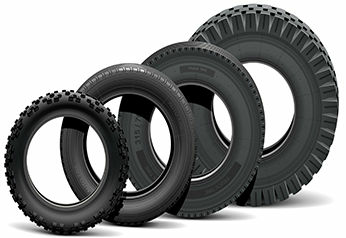 It is therefore, the combination of the offset and the wheel width. This means that the measure of backspacing increases the higher the positive offset and decreases the higher the negative offset. 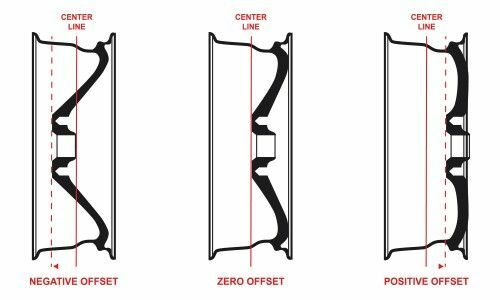 Why getting your wheel offset and backspacing right is important: If you get the offset or backspacing wrong you run the risk of having the wheel sit too far inside the wheel well. This can cause the inner edge of the wheel and tyre to rub against the suspension. Wheel rub is bad enough, as it damages the inner flange of the wheel as well as the suspension components. But tyre rub can rip up the inside sidewall of the tyre. This area of the tyre is very hard to see if damaged and remains undetected until the tyre blows out. This is why you don’t want to change your wheel offset more than 5 mm’s from its recommended offset fit. As 5 mm’s is the maximum leverage you have either way, if you want to experiment with your wheel offset. Most cars have their offset data printed in the ‘Tyre Guide’ for the car’s particular year. There are also websites that help in this department like WheelSizeCalculator.com. 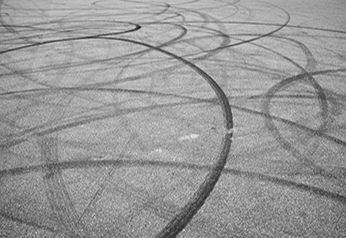 This site gives an array of useful data for any make and model, including offset, hub diameter, bolt pattern and proper wheel width for each possible tyre and wheel size. Most wheels have their offset measurement embossed on the back of the wheel, either on the mounting plate or on the rear of one of the spokes. Offset measurements often end with the letters ‘ET’. ET is an abbreviation for a German word that means the same thing as offset. So a 45 mm offset will be printed as either ET45 or 45ET. Wheel Offset Calculators exist to help you find the wheel offset and backspace measurements so as to be able to correctly position the wheel/tyre assembly on your car. These Calculators are an accessible way to make an informed choice on which wheels are the most adequate fit for your car.